Being flooded can be a frightening, stressful and extremely disruptive event. And the regularity with which it’s now occurring in the UK unfortunately suggests we should be prepared for it happening with greater frequency. 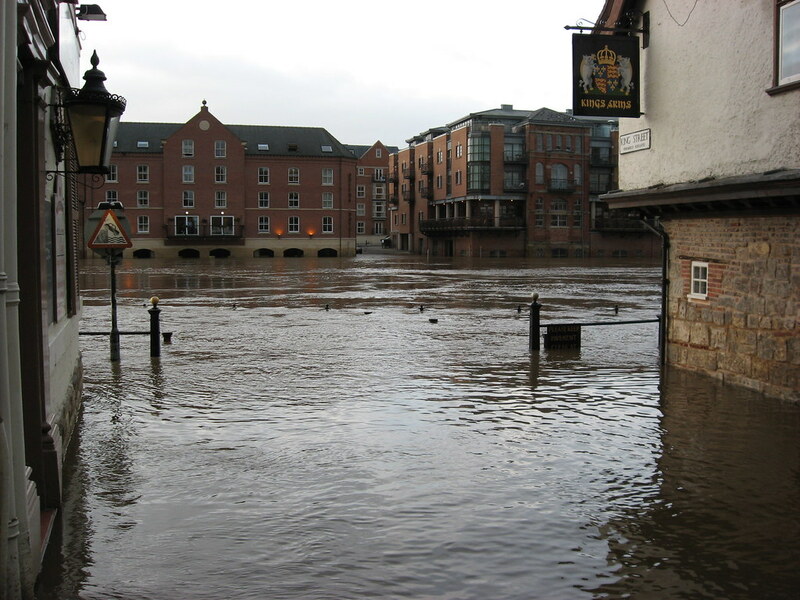 In fact, after the recent floods which affected large swathes of the United Kingdom, scientists and actuaries are re-considering the chances of what were previously thought of as 1 in 100 year events, re-classifying them as much more likely to happen. There are many things you have to cope with after a flood hits; the immediate aftermath in terms of clearing up and possibly moving out for a while, claiming back on insurance policies and making future contingency plans to deal with it possibly happening again. • Gather as many valuables and keepsakes as possible and get them somewhere safe and dry. • Secure your property as best you can. • Start preparing for potentially having to leave your home and find alternative accommodation. • Take down neighbours email and telephone numbers (it can be surprising how many people don’t have these, but how useful a neighbour can be if they’re willing to help while you’re away). • If you do have to leave your home, but don’t have anywhere to go you can contact the National Flood Forum (NFF), a charity set up to help people under exactly such circumstances. The NFF is community-based, but could prove very useful. • Local authorities usually set up temporary accommodation for flood victims, approach them if you need help. • If you do have to leave, tell your neighbours, and emergency services if necessary, how to contact you. • If you’ve been forced out of your home by the flooding, seek police and fire services advice on whether it’s safe to return. • Prepare yourself for the long-haul, the NFF says it usually takes between 6 and 12 months for a home to properly dry out and be made habitable again. • If emergency repairs are required which can’t wait for discussions to have occurred with your insurance company, get them done, but inform your insurer and keep any receipts and details of the cost as this will form part of your claim. • Any large scale should wait, if possibly, until you have your insurer’s approval. • Contact your insurer immediately. Nearly all have 24-hour emergency helplines available. • It’s recommended that you take pictures and if possible use video so that you have a clear record of the damage that’s occurred. Try and be comprehensive, including watermarks, the home structure (external and internal), furniture and contents. • Also make a list of damaged and lost items and place it somewhere safe. • Don’t discard any items you feel are of value as this could affect your insurance claim. • If you rent your home, contact your landlord immediately and, if you have your own contents insurance policy, the company you’re covered with. • Cars are often damaged along with property and possessions. If you have a comprehensive policy, your vehicle will in all likelihood be covered. Again, contact your car insurer as soon as possible after the event. • If you don’t have any insurance, you should be able to get information on charities and any hardship grants available from either your local authority or the NFF. • Your insurer will send a loss adjustor to assess the damage and confirm what they will cover in terms of returning your property to its previous condition and paying for lost or damaged items. • The loss adjustor should arrange for a professional cleaning company to clean up. If the damage is severe, this will be a contractor which will quite possibly gut your property of damaged walls, kitchens, floors, damaged items etc. • Depending on your level of cover, your insurer may pay for temporary accommodation and/or rent on a temporary home. Check your policy for this as it’s doubtful the insurer will offer it without you asking. • Read the small print of your policy very carefully, this will help arm you with information if you come into disagreement with your insurer. • You may want to appoint your own loss adjustor. Loss adjustors are, in theory, independent, but nevertheless it can be wise to get a truly independent opinion if you enter into a dispute.